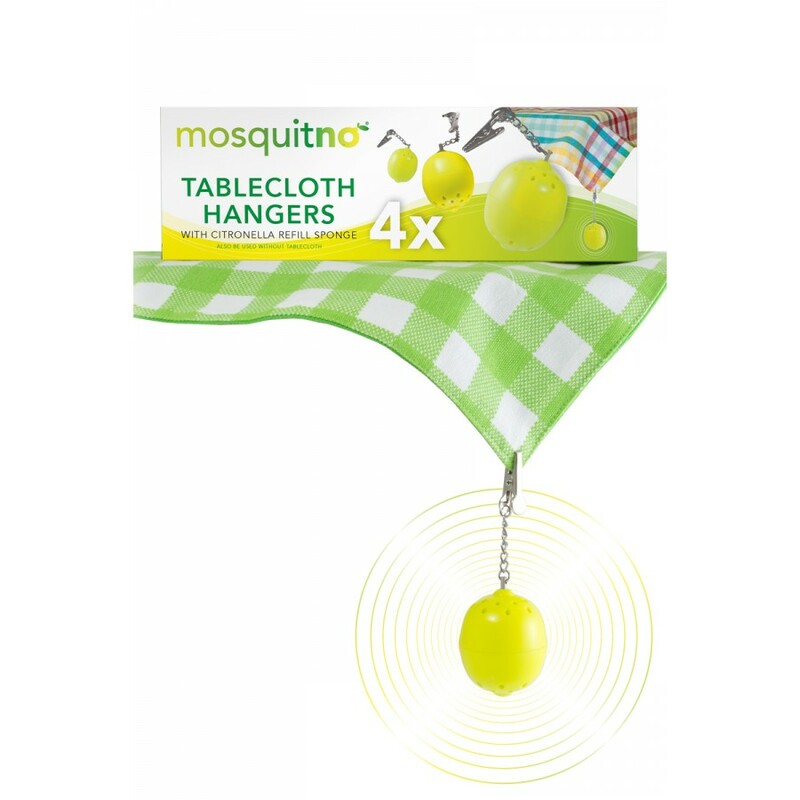 Four special tablecloth hangers for your garden, the balcony and during camping activities. 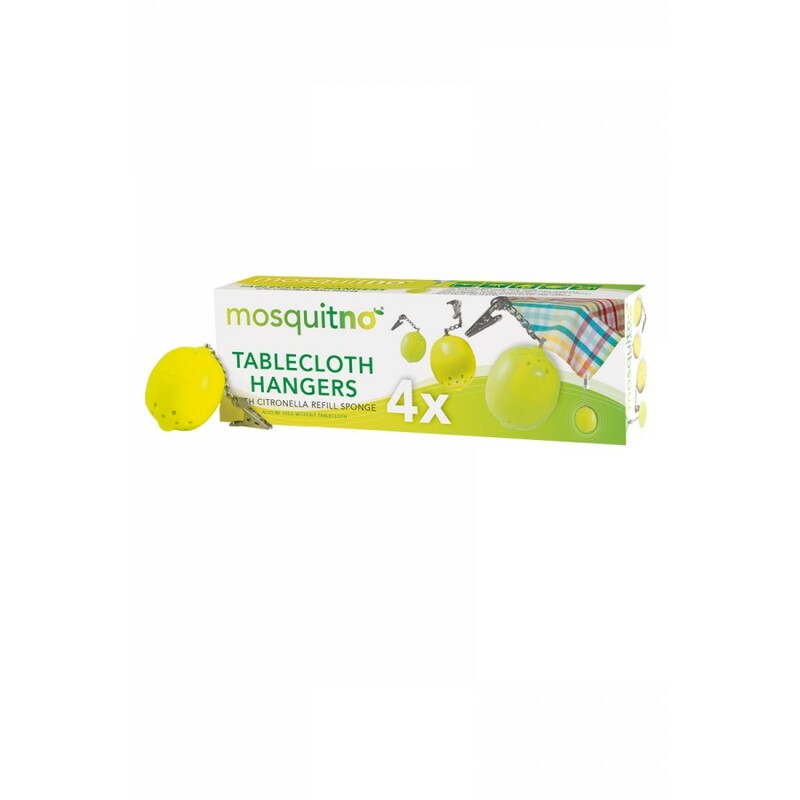 Each table hanger contains a sponge like element containing citronella odor during 2 months. 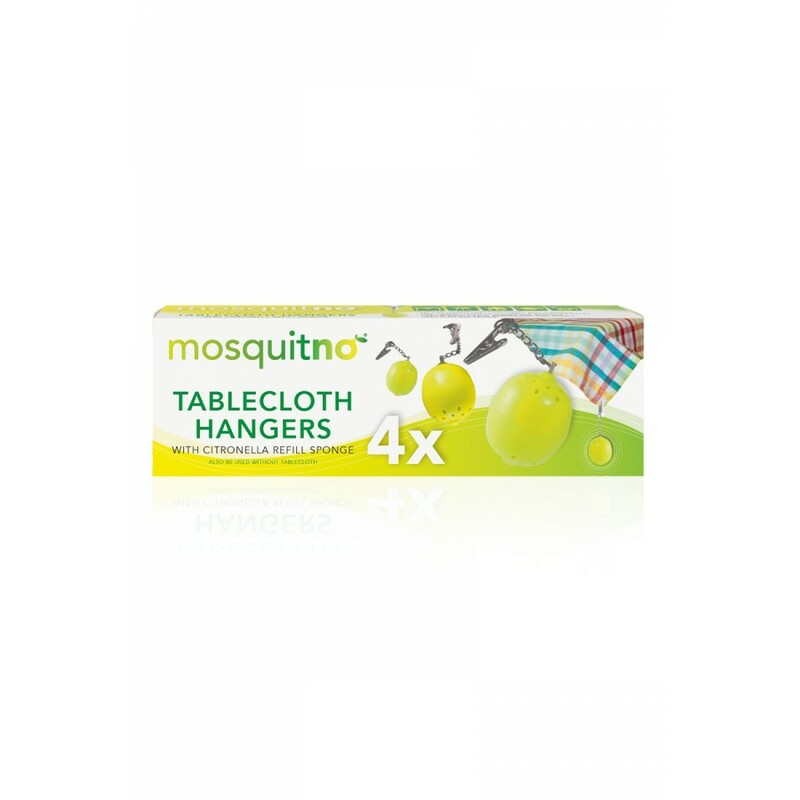 The tablecloth hangers include clips for textiles, this way you can hang them easily onto your tablecloth. The MosquitNo Table Cloth Hangers have a fun design, they look like lemons, which explains the citronella odor. 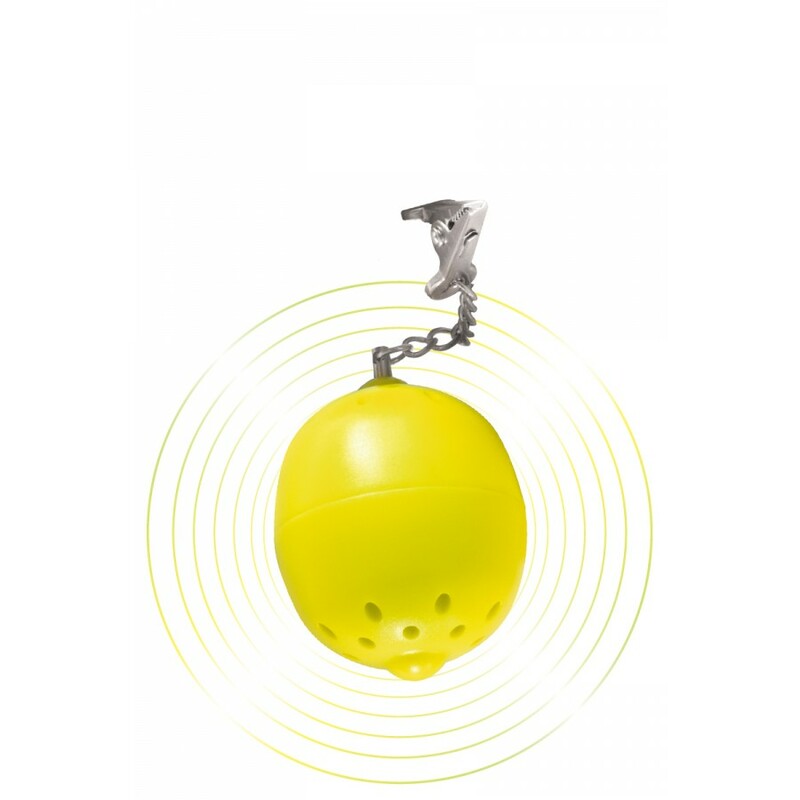 It is really easy to replace the gom, just unscrew the bottom of the lemon, break one square from the gom and put it inside the table cloth hanger, screw the bottom part back on and hang the hanger on your tablecloth! Easy as pie! 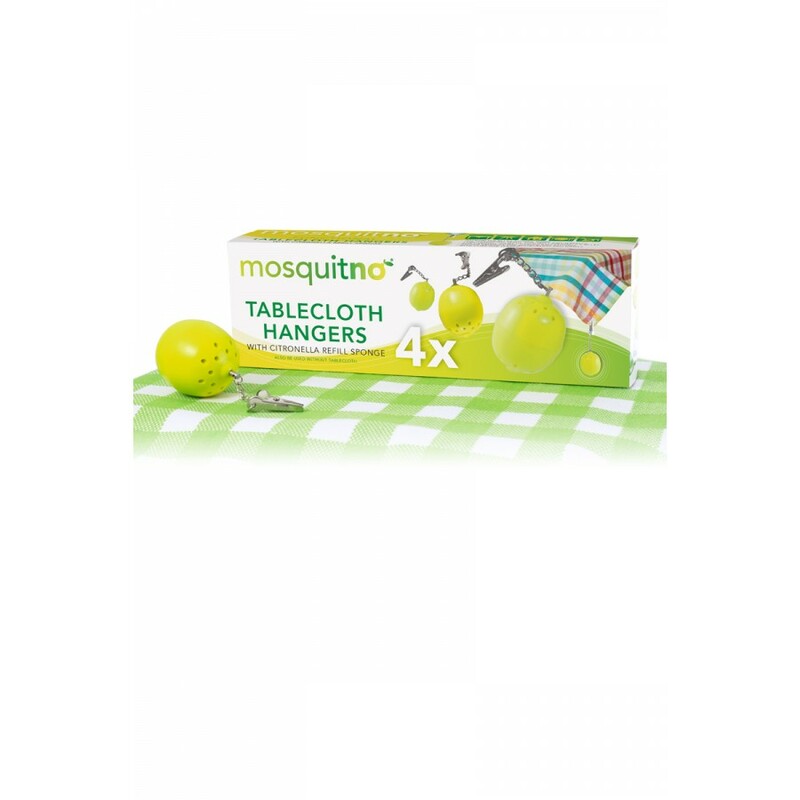 • Natural odor - suitable for dinning table, side table and Terraces. USE: Not for consumption. Wash hands after breaking the gom. Not for Children younger than 3 years old. Store in original packages to preserve effectiveness.